Worried corruption among referees was driving fans away, Chinese authorities are cracking down on bribery. In a week when match-fixing is back in the news in Asia, China is getting tough with its long-standing problem of corruption in the beautiful game. With problems in Malaysian football and Korean volleyball (as well as rumors of something similar in the country’s baseball and basketball stadiums), a court in Liaoning in the north-east of China has sentenced four former top referees to up to seven years in prison. One of these is Lu Jun, once the pride of the country’s football officials and regarded as one of the best referees in Asia, twice being named as the Asian Football Confederation’s referee of the Year. He officiated at the 2002 World Cup and was regarded as having performed much better than the Chinese national team. Now he’s facing five-and-a-half years in prison after being found guilty of accepting bribes totaling $128,000. Once called the “Golden Whistle” Lu becomes the latest in a too-long line of “black whistles” – referees that have been on the take. The biggest outbreak came in 2001, but there have been others. Authorities are hoping that this could be the last. The problem in China has been chronic for some time and is certainly one reason why many fans in the country preferred to support European teams. The average Chinese football fan is one of the most cynical on the planet. At the end of 2009 and early 2010, however, the authorities finally got tough. 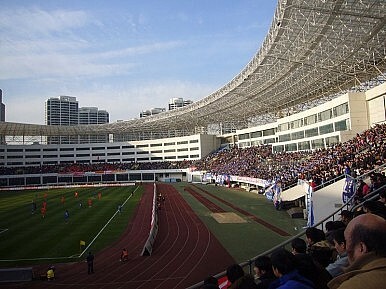 Top officials and referees were arrested and the Chinese Football Association was swept with new brooms. After years of dodgy practices, the perception was, at last, that Chinese football was starting to clean up its act, for real and for good. This has helped sponsors such as Toshiba come to the fold and has helped the recent spending spree that has seen the Chinese Super League become one of the most talked about in the world. Still, nobody in China will be counting their chickens just yet, and recent events elsewhere in the continent are healthy reminders that the fight against bribery and match-fixing is never really over. Can Italian football coach Marcello Lippi bring more glory for Chinese team Guangzhou Evergrande?